What Does Code P0473 Mean? Forced induction is used to improve power output and cruising fuel economy for a given engine displacement. Basically, exhaust gases rushing out the tailpipe are routed through a compressor, which compresses air going into the intake. The compressed air has more oxygen per given volume – more oxygen uses more fuel – the total result of which is power output on par with a larger-displacement engine. When extra power isn’t needed, such as while idling or cruising, engine operation, power output, and efficiency match what the engine displacement might suggest, because the turbocharger isn’t active. Modern engines, controlled by the ECM (engine control module), use a number of sensors and actuators to fine-tune turbocharger function, which improves power output and fuel economy. In the exhaust, between the cylinders and the turbocharger, the exhaust pressure sensor (EPS) continuously monitors pressure. Depending on application, the ECM uses EPS to monitor turbocharger function and control the turbocharger wastegate and boost pressure. 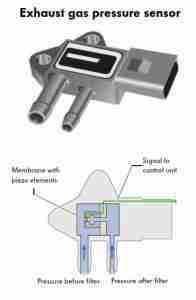 Other automakers use EPS to monitor the capacity of the diesel particulate filter (DPF) in diesel applications. Different automakers may call this differently, such as Ford (exhaust backpressure sensor – EBP) and Volkswagen (diesel particulate filter pressure differential sensor). If the ECM detects a problem with the EPS or its circuit, such as excessive pressure or abnormally-high voltage, usually over 4.7 V (58 psi), it will set a diagnostic trouble code (DTC) in system memory and illuminate the MIL (malfunction indicator lamp). 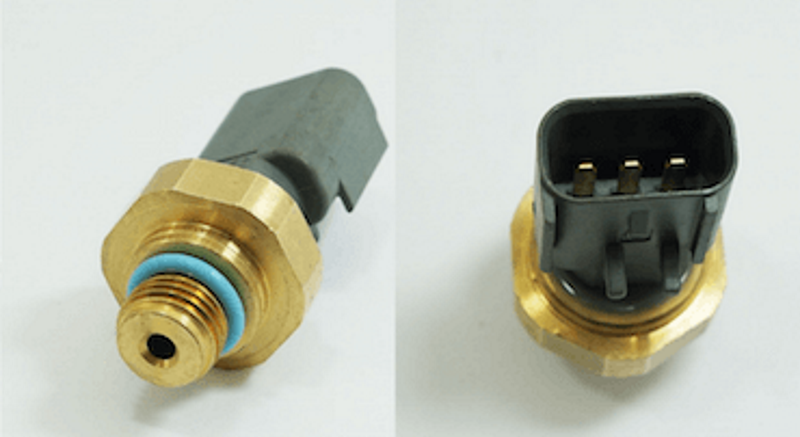 DTC P0473 is defined as “Exhaust Pressure Sensor High,” which may indicate a problem in the sensor or its circuit. What are the common causes of code P0473 ? Depending on year, make, and model, DTC P0473 may have number of causes. Here are some of the most common. EPS Failure – Given its exposure to the heat of exhaust, it should come as no surprise that the EPS can fail. As long as circuit problems are ruled out, replacing the EPS usually results in a fix. What are the symptoms of code P0473 ? The EPS is critical to turbocharger function. Therefore, if the ECM cannot detect a reliable signal, the ECM will most likely disable the turbocharger, and you may experience greatly debilitated engine performance. Fuel economy also suffers, some drivers reporting as much as doubled fuel consumption. Some vehicles internally substitute a default EPS value to keep the vehicle running, albeit at reduced performance and efficiency. How do you troubleshoot code P0473 ? Because this DTC refers to a circuit problem, you’ll need a DVOM (digital volt-ohm meter) to perform circuit checks. A scan tool with live data streaming can be extremely helpful. The EPS is a three-wire pressure sensor, powered by a 5 V voltage reference (VR) signal and grounded (⏚) by the ECM. 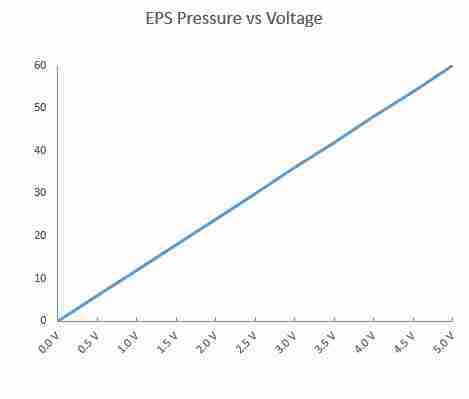 Pressure changes in the exhaust stream modify the voltage reference, sending the EPS signal voltage back to the ECM, which the ECM interprets as pressure. 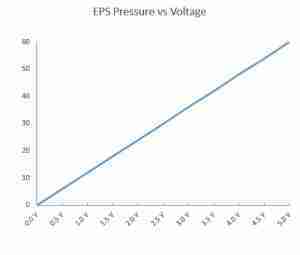 Depending on manufacturer, typical EPS voltage ranges from 0.8 V (0 psi or atmospheric pressure) to 4.5 V (50 psi), and 1.2 V (15 psi) is typical at 2,300 RPM on a warmed-up engine. Check your particular repair manual for data specific to your vehicle. Keep in mind that DTC P0473 generally describes a short circuit. Scan Tool Diagnostics – KOEO (key on engine off), set the scan tool set to display EPS and MAP (manifold absolute pressure). Both sensors should read zero relative pressure. If EPS and MAP read correctly, clear codes and try again. If a different code comes back, such as P0470, P0471, or P0472, replace the sensor. If the same code comes back, go to the next step. If EPS reads over 55 psi, suspect a faulty EPS or circuit problem. Continue to Circuit Check. Circuit Check – With the key off, disconnect the ECM and EPS. Check for bent pins, corrosion, or evidence of water entry. Repair if necessary. Use your DVOM to check across the EPS, VR, and ⏚ circuits, there should be no continuity, or at least 10,000 Ω (10 kΩ) resistance. Additionally, there should be no continuity to body ground from any of these circuits. If there is less than 10 kΩ resistance across the EPS, VR, or ⏚ circuits or to body ground, repair the short circuit and recheck. Corrosion or water entry can cause a similar situation, so check for proper connector seating and sealing. If there is more than 10 kΩ across the EPS, VR, or ⏚ circuits or to body ground, replace the sensor and recheck. If P0473 comes back again, suspect ECM failure, though this is very rare. None found. Ask a question about P0473.